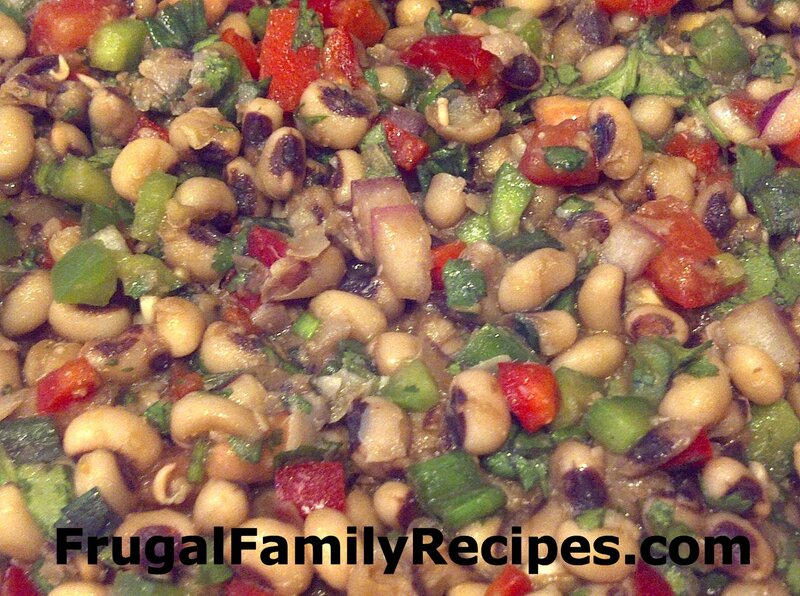 Here's my "Atlanta" version of this delicious black-eyed pea dip. Serve with Tostito's Scoops! In a large bowl mix together all the dressing ingredients. 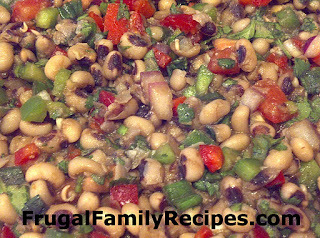 Gently fold in the cooked black-eyed peas and remaining ingredients. Refrigerate for 4 hours, the longer it chills the better it gets. Serve with Totstitos scoops or chips, like a dip.